Modern marketers use marketing and sales promotion automation to create new ways of appealing to customers by tracking and monitoring the progress of a marketing campaign. Automation helps marketers to keep track of customers, right from time customers view a product to the point where they convert and purchase the product. This data provides marketers with information on which marketing campaigns and promotions are the most effective. 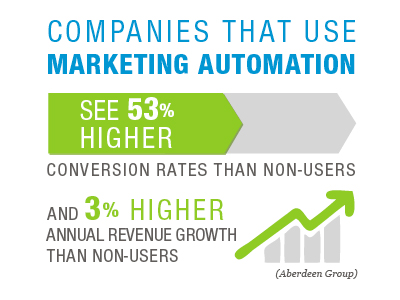 Marketing Automation Software benefits are immense and range from increasing sales efficiency to lowering promotion costs dramatically. The use of marketing automation makes marketing processes that would otherwise have been performed manually much more efficient and makes new processes possible. These business benefits can be maximized by following some best practices and integrating all software features into your marketing strategy. This article outlines the top 3 best practices to help you reach your marketing goals. To deliver the most effective, timely campaigns / promotions you need to understand your customers needs, preferences and purchasing behavior. Visualize an actual prospect and try to paint a complete picture of their needs, goals, and how your product can assist them. The more targeted and relevant your marketing campaigns, the more people will engage and respond and the more revenue you will drive. Effective targeting starts with clean data and the ability to segment based on both who your prospects are and what they do. Always work with an automation partner / platform who can help you understand how your target customers are responding to your campaigns / promotions. As you better understand how your products are bought, you can optimize the content and marketing that you deliver. To help you choose the right Marketing Automation Software, work through the following questions. What’s your budget and resources? What aspect of the sales funnel are you trying to improve? How diverse are your marketing and sales tools? Does the vendor provide an integrated approach to digital marketing life-cycle management? Does the vendor have the capability to understand your business needs and your target customer? Is the vendor willing to engage with you on success-based model, this model of engagement will often reduce the risk for brands and forces vendors to rethink participative marketing strategy and stay away from tactical software sales. Focusing on the correct answers to these questions will allow you to choose the right software tailored for your organization. Not only do you need to map out your current processes before automation, you need to match the Marketing Automation Software with your organization.